Building body Sub Assemblies is not an easy process and with many detailed parts, tiny tolerances and complex machinery, it’s no wonder that it’s a challenge to achieve world class OPR levels. Body Shop 3’s Sub Assembly area has had to overcome a number of challenges recently which has caused over-cycling, having knock on impacts to the overall amount of bodies it can produce. All of this has meant that in the past, overtime has had to be put on to catch back the build - which comes at a cost to our plant. A call to arms was issued. From associates to logistics planners, Body Shop 3 formed a crack team, tasked with the mission of busting overcycles in Sub Assembly. 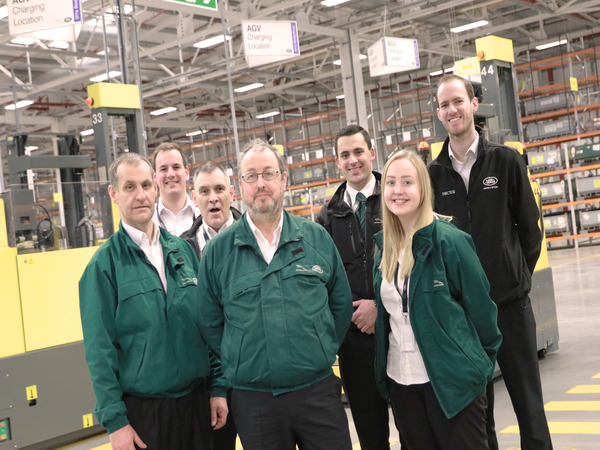 In true Project Charge fashion, overtime has reduced in Body Shop 3 by 5% because of the improvements made. That has saved the business a staggering £80,000 - almost enough to buy you a brand new Range Rover Velar SVAutobiography Dynamic Edition. A big well done to the mission team in Body Shop 3.